The Inishbofin Maritime Festival will take place on the weekend of August 9th to the 11th this year. 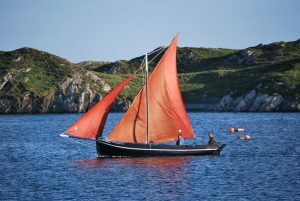 This weekend will expand on the successes of the recently rejuvenated Inishbofin Currach Regatta, extending the programme to include yachts, púcáns, sailing dinghies and much more! Be sure not to miss what promises to be an incredible weekend of all that is best about Inishbofin’s seafaring heritage!